Propel Performance draws on lessons learnt from crew resource management on the flight deck to understand the limitations of human performance within the workplace. Using case studies, basic psychology and experience from the aviation sector, Propel explains costly human error and risk. Propel suggests small ways we can change our everyday work practices to reduce our exposure to risk in a wide variety of industries. Understand and reduce costly human error in your organisation. Propel Performance draws on lessons learnt from the airline flight deck to understand the limitations of human performance and cognition within a wide variety of industries. Avoid the blame game when things go wrong, instead develop a just and fair culture in your business. Flatten authority gradients and empower people to speak up. Delivering workshops, keynote speaking and individual coaching. The aviation industry has long recognised that the weak link in flight safety, is the pilot’s vulnerability to human error. Many fatal accidents have unnecessarily occurred due to the limitations of the pilots’ performance. Such limitations are accentuated when working in stressful, high work load situations, operating under commercial pressure. These same pressures are evident any business where humans are involved. Propel uses the airline industry Crew Resource Management (CRM) / Human Factors soft skills model, and applies it to a wide variety of industries. See some of our clients below and their testimonials, to appreciate the application in any risk averse business. 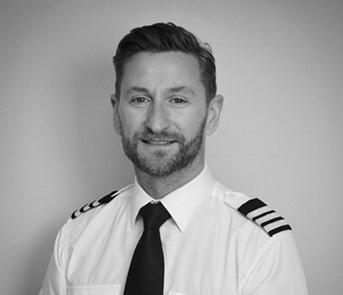 Airline Pilot Matt Lindley uses his 25 years experience in aviation and expertise in error management, to suggest subtle changes in everyday work practices to mitigate risk within your organisation. Areas of expertise include human cognition, the psychology of decision-making, stress and performance, leadership and communication. Propel has an alternative and fresh approach to traditional 'soft skills’ training. We specialise in human error, performance, and cultural advice. risk-based industries, Propel challenges your traditional outlook. Choose from either a bespoke workshop or high impact keynote speaking. Our aim is to stimulate fresh thinking within your organisation. We draw on our vast experience from OUTSIDE your industry. By looking at proven techniques adopted in other sectors such as aviation, health and oil, Propel gives an alternative approach to traditional skills such as leadership, decision making and communication. By using varied case studies and basic psychology, we aim to explain why we are all vulnerable to making mistakes. We make the subject material interesting and interactive, with key ‘take home points’ ensuring maximum applicability within your organisation. Propel specialises in providing training to all risk based organisations. The legal / financial services sectors. along with engineering/utilities, especially benefit. The attention to detail required, along with challenges associated with steep hierarchy gradients, make these industries particularly relevant.